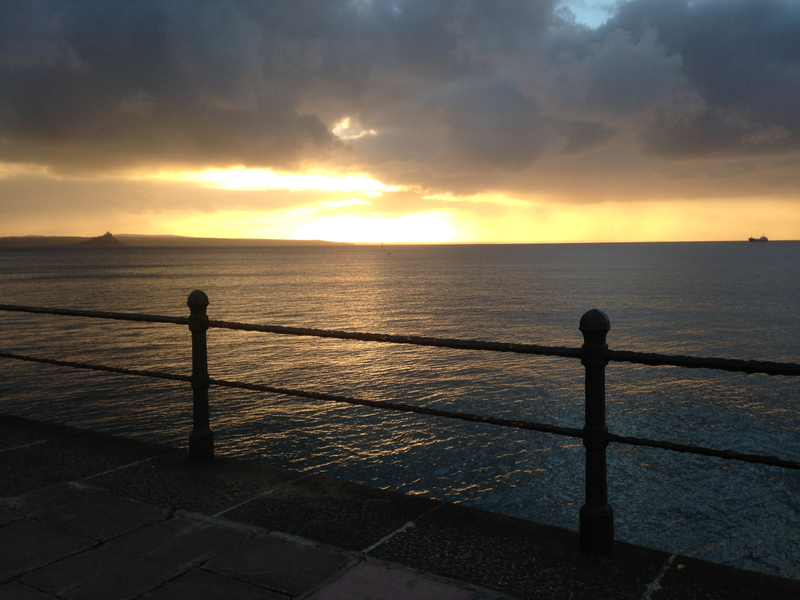 You are currently browsing the tag archive for the ‘penzance’ tag. 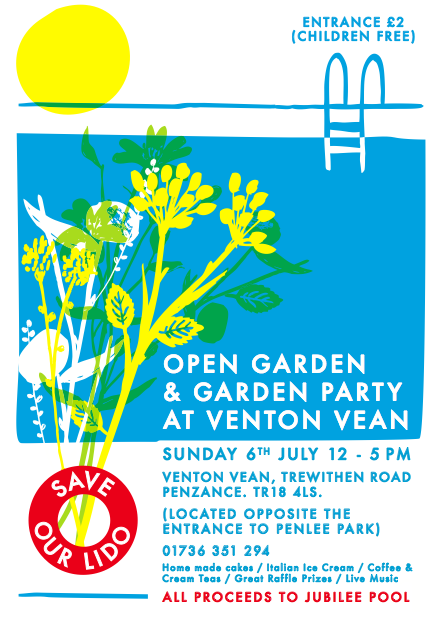 The second, with another covetable poster designed by Pirrip Press, takes place the gardens of the comprehensively gorgeous B&B Venton Vean (which temporarily fulfils a wish I expressed 3 years ago on this blog: for them to open a tea garden!). 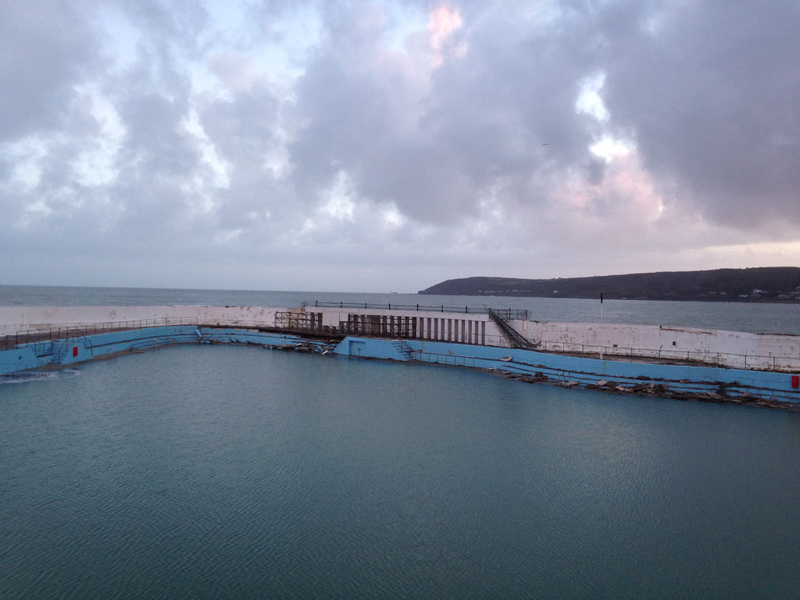 The Jubilee Pool in Penzance is a thing of great beauty – with smooth deco white lines, a cool triangular shape and views out into Mount’s Bay. Or at least it was. It took an unprecedented hammering in the winter storms and it’s now a desperately sad sight on the Penzance seafront: strewn with rocks and debris, and its future seriously in jeopardy. 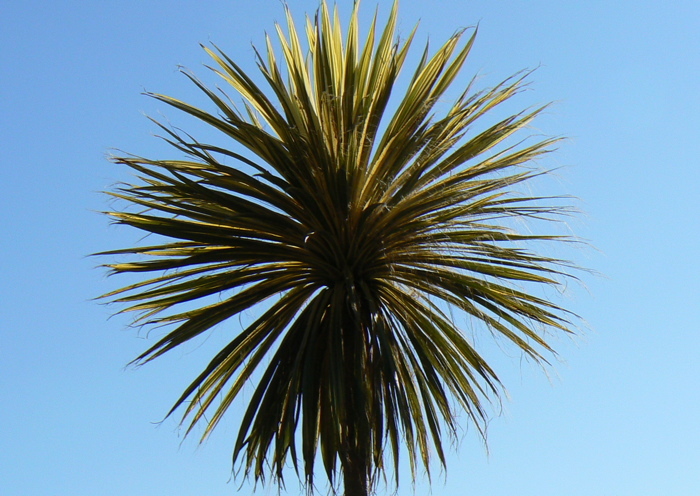 It’s easy to lull ourselves into a false sense of security that someone else will sort this out – that someone somewhere high up will make sure that Penzance doesn’t lose one of its finest assets – but unfortunately this seems far from guaranteed. Time is of the essence, so please register your support at the following online petition. It takes less than a minute. With Penzance town centre perennially under attack from the faceless threats of supermarkets, parking charges and high business rates, it’s a joy to watch how Chapel Street is turning into a real little vintage and design enclave. It is an atmospheric street at the worst of times but now it has the likes of Lost & Found cafe (my new cafe favourite with vintage shop attached), one-week-old No.56 (a touch of London’s Labour & Wait plus hand-crocheted cushions), newly relocated Daisy Laing – as well as oldies like Newlyn Books, Fishboy, Steckfensters and the cigar shop – it can genuinely call itself a shopping ‘enclave’. I also like the way the businesses – all independents – are coming up with shopping extras. 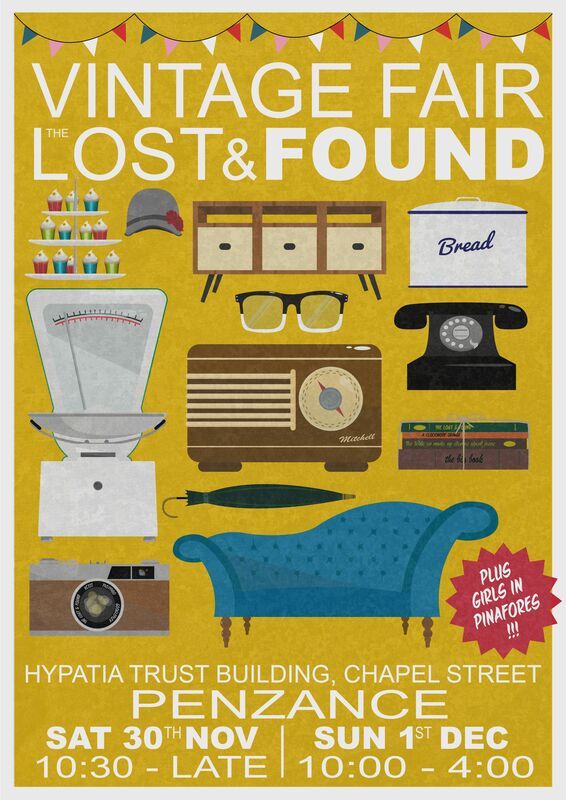 See above a poster for a vintage fair at Lost & Found next weekend. Also hark that shops on Chapel Street are opening late on Thursdsays up till Christmas (until 7pm! 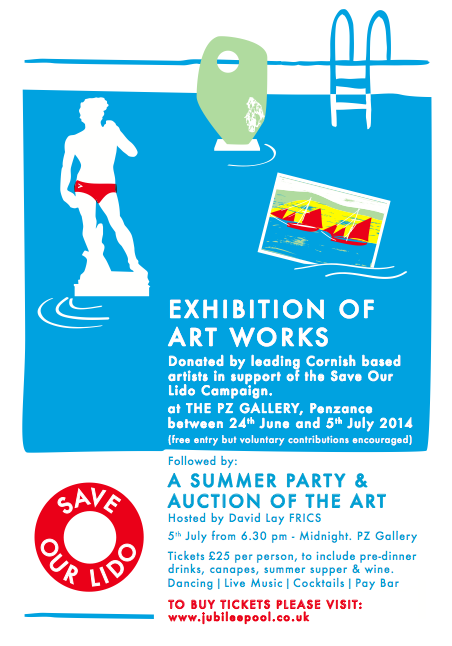 And yes, if you are reading from afar, that is most definitely ‘late’ & very useful for Cornwall). This is happening tomorrow and describes itself as ‘not your usual craft fair’. You have my attention! I​ have been snapping up cards and prints by Pirrip Press for a couple of years now – everything produced by this small print studio is so perfectly clean-lined and well-spaced, with a classy wit about it. There is a stylish economy to their work that I much covet – just the right amount of white space, never too many colours or words. The designers in question are Alexandra Higglett and Georgina Hounsome, previously based in Penzance and still maintaining strong ties with the area. 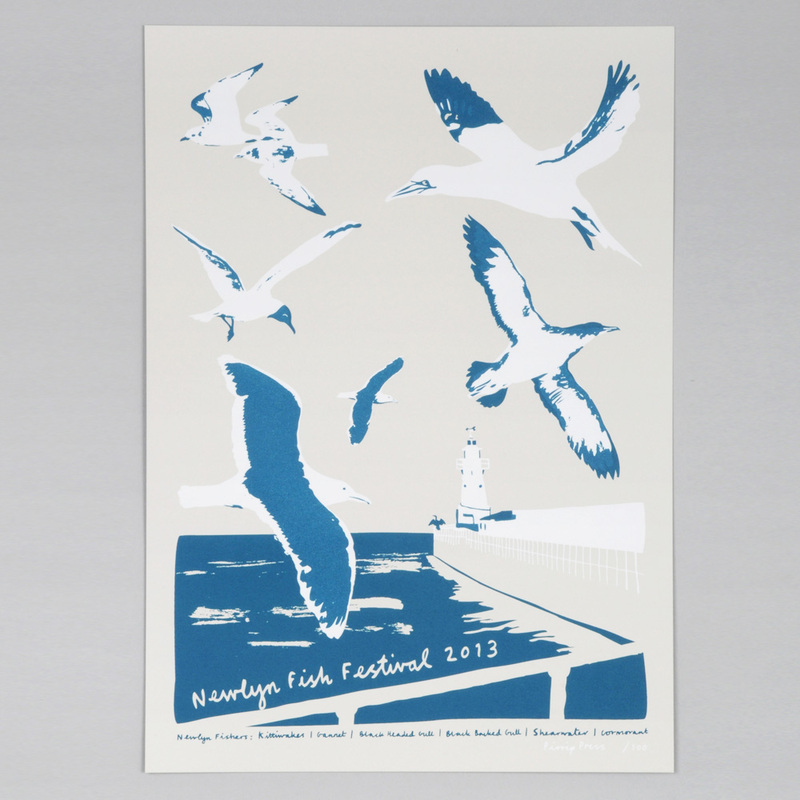 Hence their annual limited-edition poster for the Newlyn Fish Festival – a two-colour silkscreen print, this year featuring circling gulls over the harbour wall. I’m not one to romanticise seagulls (if I ever did, then it stopped dead with the theft of my Callestick Farm ice-cream on Porthmeor Beach, summer 2011) but I love this image, printed on thick mushroom-coloured paper. It’s already a bargain at £10 and they give 20% of the money to the Fishermen’s Mission. Which is why my print has been firmly checked out of their online shop before I click publish on this! They only make 100. You can buy one here. 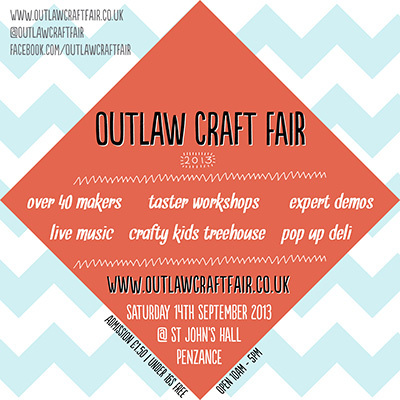 You can also catch these guys at the Outlaw Craft Fair (tagline: ‘not your usual craft fair’) in Penzance on 14th September. golowan 2013: the mad professor? For a couple of years I think I didn’t quite get Golowan. I was busy trying to find out what was happening where, searching the scant printed information for details – it all seemed too scattergun to get a handle on. 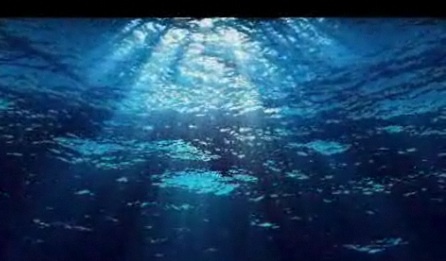 Now of course I realise that this is absolutely the point of it, and its beauty. It’s about the chaos and the wandering, the random discoveries, with mini stages and micro events on every street – some planned, some not. As Old Mike rightly said in his column in The Cornishman last week, Golowan is not supposed to be anything as divisive or elite as an ‘arts festival’; it’s a community festival and it represents Penzance perfectly in all its fruity glory. This guy, who was kicking up dust on Greenmarket at a mere 10.30am, was a particular highlight – anyone catch his name? A good Golowan is being had by all this week, with Mazey Day as giddy and chaotic as ever yesterday. Here’s the beginning of the morning parade for those who missed Mazey or who enjoyed it so much they already want to relive it. Quay Fair Day is cranking into action today on the prom – check website below for events. Today I’m sending out the stirring, sincere sounds of James Findlay, who was the starring guest at Penzance Folk Club last night upstairs at the Benbow. It’s been a couple of years since Findlay won the BBC Radio 2 Young Folk Award but the early twentysomething must still have felt pretty fresh-faced when looking out over PZ folk club’s mature crowd. I am a big fan of traditional folk music – indeed the name of this blog is a tribute to mighty Cornish folkie Brenda Wootton – and it was a treat to have this rising star in our midst. I live in hope of a revival of a 1960s Count House-style folk music scene in West Cornwall… anyone fancy kicking things off? 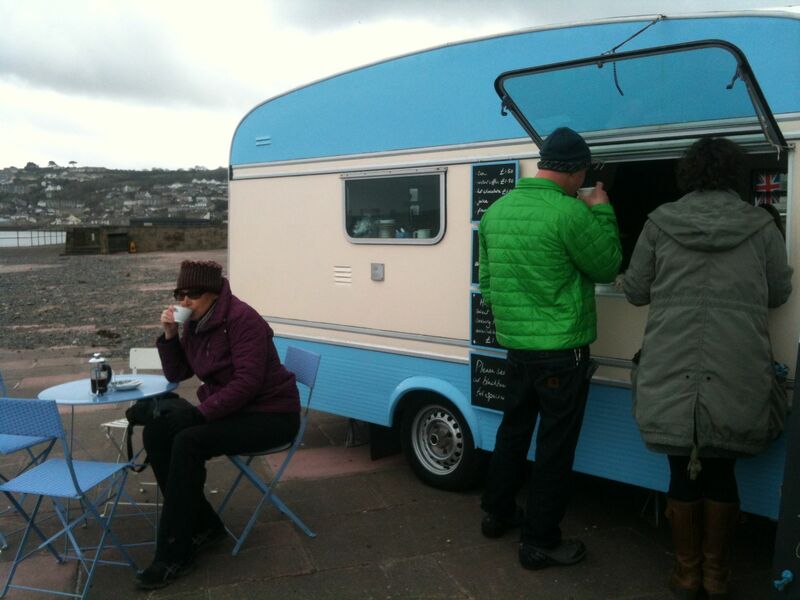 Hurrah, the little vintage caravan on the prom lives on, this year with new owners (one of which is none other than knitted freak lady Katie Lennon of Heyday) and under a cute new name, Little Wonder. As well as the arrival of Starry-Gazy Cupcakes on the menu, the other news is that it’s not waiting till the official ‘season’ to trundle on to the prom – it’s open weekends from now. Yes, that’s correct, it is February and there is no cover – just how I like it. A hot cup of tea and a chill in the air… makes me feel like I’m camping. 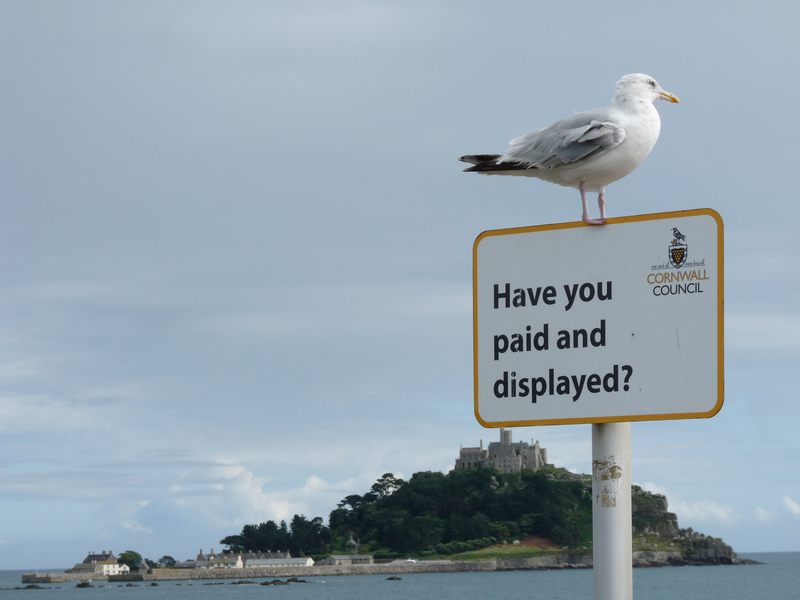 Views across Mount’s Bay, yours for £1.50 for a cuppa, £3 with cupcake. 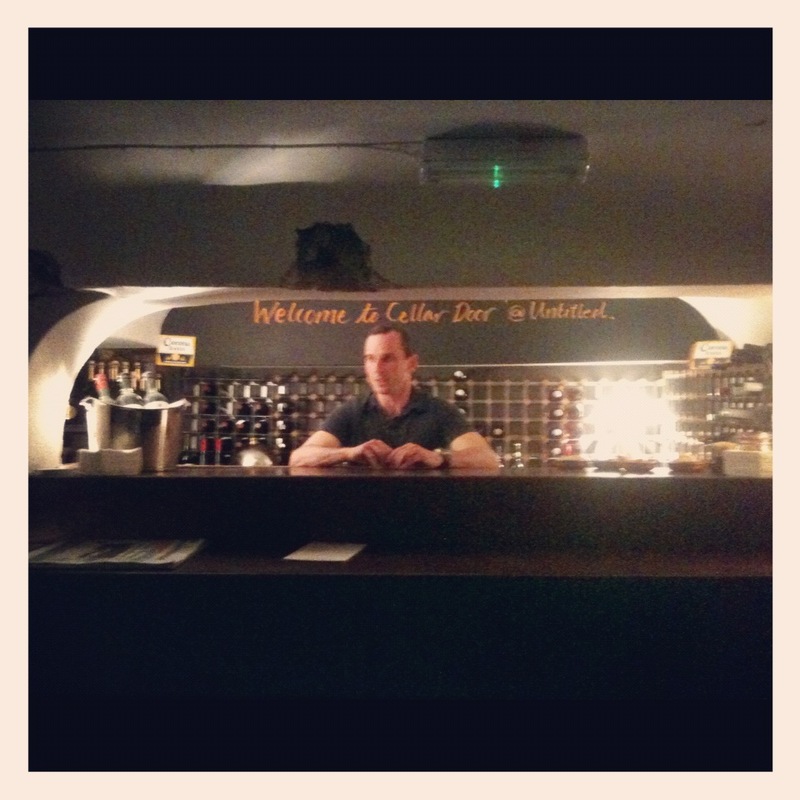 Naturally, I dream about them serving wine… We so badly need somewhere nice outdoors for a sundowner* in this town. It also sells cards by the wonderful local design & print studio Pirrip Press. 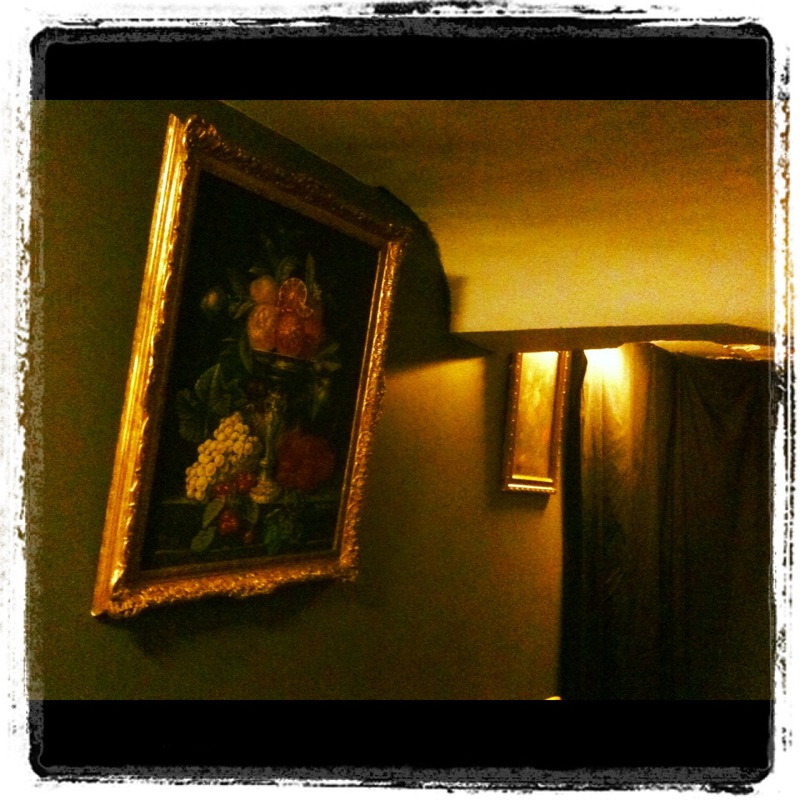 Visit the website or follow Little Wonder on FB or Twitter for opening dates & times, events etc. Some smooth, Friday afternoon tones for you from rising folky Kezia, Cornwall’s answer to Ellie Goulding (she is going to get sick of that one but it has to be said). She’s playing at the ridiculously nice new Lime Tree Cafe at Tremenheere Sculpture Garden tomorrow evening – free entry. 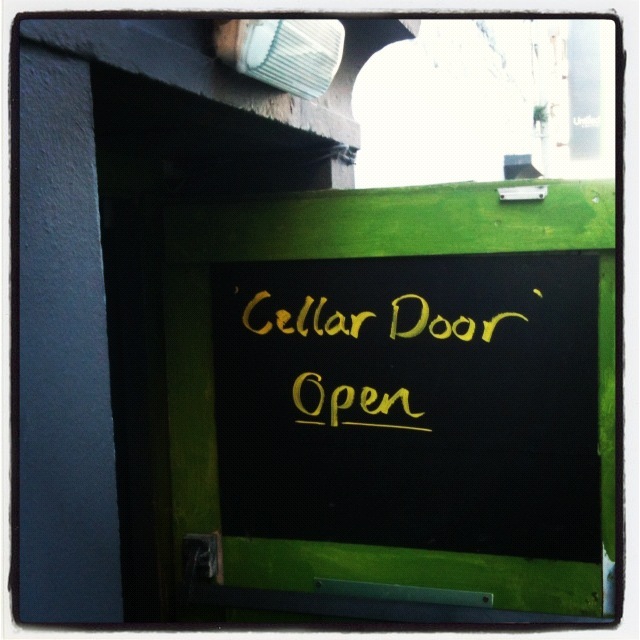 Ooo, there’s a new bar opened next to Untitled called the Cellar Door – seems to be going for the Hispanic arty dive bar vibe. It’s a curious, pared down place with exposed brick, £3 house red served in beaker glasses, chalked up pinchos (£2 each) – even Orishas and Jarabe de Palo on the stereo. No credit cards, limited opening hours and just a few old church pews for seats. Me gusta! Hope’s Sticky Cinnamon & Pecan Bun. One big fresh bun topped with ultra buttered caramelised pecans – £1. The regulars were queuing up this morning, and her website says they are ‘famous’, so looks like I was the last to know. Its only rival in the £1 local treat category as far as I can tell is a Jelbert’s ice-cream – though a flake will push you over the threshold. 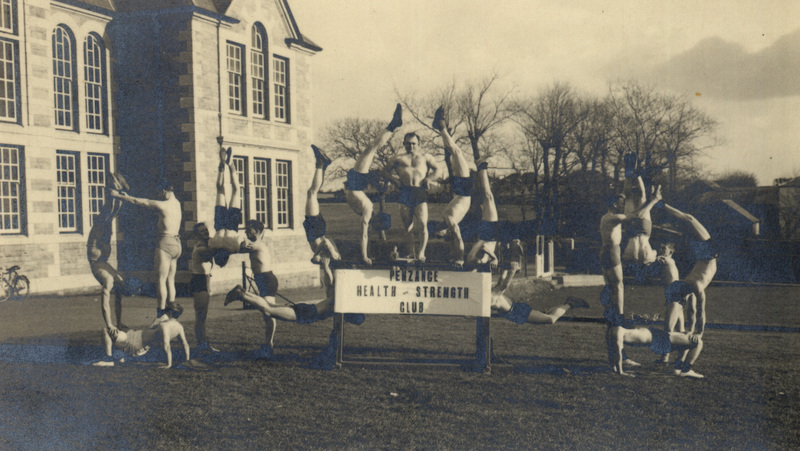 I have a great appetite for old photos of Cornwall – particularly of parts I know and love. Charming as they undoubtedly are, we’ve all seen the classic black and white photos of Penzance in the Frith series around and about, so it’s exciting that Penlee House has recently acquired a collection of long-buried pictures of Penzance and Newlyn. It is sad but universally true that you only really appreciate a) your health and b) your local health services when they are in peril. Having had a crash course in the past few years in the immense value of both those things, I went along to the Hands Off Our Hospital protest yesterday against cuts to services at West Cornwall Hospital. With the increasing centralisation of services to Truro, people living in West Penwith are having to undertake a 40-mile round-trip, sometimes for routine appointments (even, once, in my case a 5-second MRSA swab). One area for protest is the lack of a 24-hour doctor-led casualty in west Cornwall (nurses only at night-time) – again, I’m sure that particular outrage only really comes into focus at 2am when you badly need a doctor. Thousands of people turned up, the Golowan band and Penzamba were there (of course), there was a little chanting, and then the crowds joined hands in a huge circle around the hospital. The main thing is that Spotlight were there – hope WCH got its close-up. It’s always a pleasure when I get an email from a pasties & cream reader, even if it’s just to complain about my lack of captioning (full-time job alert). But it’s particularly nice when I get an email about something as eye-opening as this beautiful new boutique b&b in Penzance – opened this week. The modern-classic chairs, blue accents, amazing garden, period detailing, rainforest showers… you don’t find all of that for under £100 a room very often. I know this because I drove round the whole of Cornwall a few years ago seeking out special places to stay for the Time Out Guide to Devon & Cornwall – and gems are few in this price bracket. It is also on one of my favourite streets, leafy Trewithen Road, next to Penlee Park. Best of luck, Venton Vean – if your website is anything to go by, you’re going to storm it. Oh and can you open a little tea shop in your garden too, please? That would be most handy. A few ale-addled snaps from Mazey Day in Penzance last week. 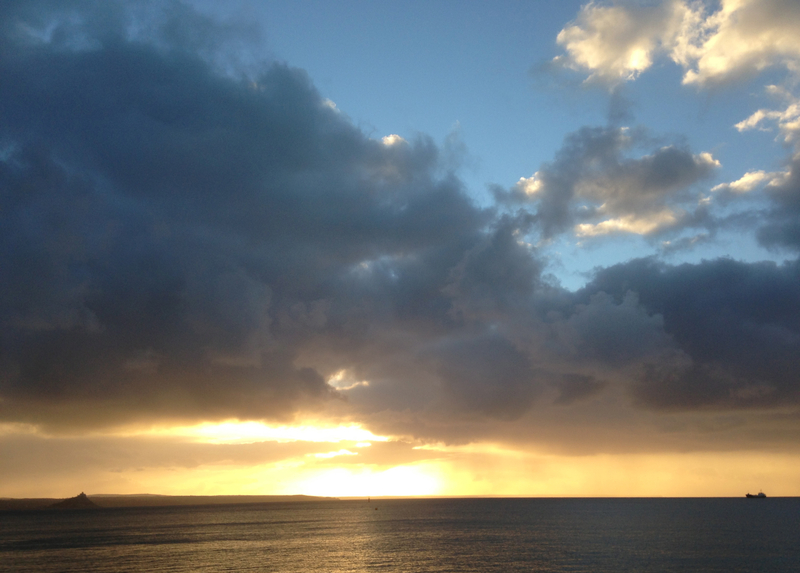 It was my first and I loved it – the chaotic anything everything goes atmosphere is pure Penzance. One couple had dressed up as hippies – which is akin to dressing in camouflage. 1) The DJ in the Arts Club garden dropping Black Box ‘Ride on Time’ at 3 in the afternoon. Not only did he get away with it – people went crazy. 2) Singer Dom Youngman at the busk-off at Zero Lounge’s alfresco bar on Mock Mayor Wednesday (incidentally, was anyone else confused by the brisk trade they were doing all week in Veuve Clicquot??! Do these people know of a secretly booming industry in Cornwall that I don’t?). 3) Pondlife ska at the Dock (listen here) – young and old dancing in the streets and things starting to get messy. 4) Mr B’s new vintage ice-cream van’s first outing. 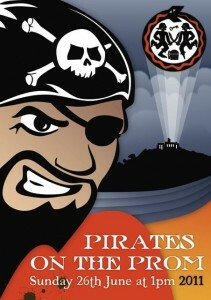 5) Of course, Pirates on the Prom – 8,734 pirates and a real pirate ship. Rad. 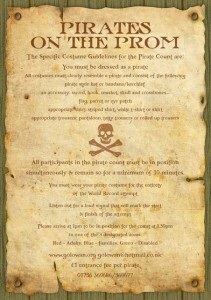 Unless you actually are a pirate, and therefore a bit off-radar, you will probably have heard about Penzance’s forthcoming attempt to beat the world record, currently held by Hastings, for the number of pirates in one place. 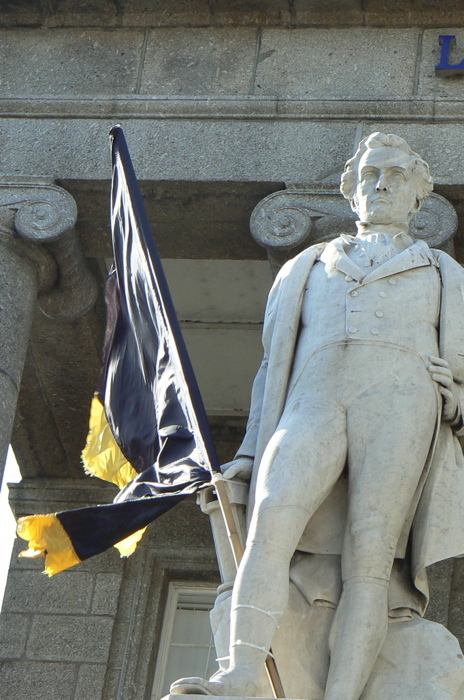 Hastings managed just over 6K but surely, Cornwall, we can pound that – we are in a piratical class of our own. Many people do actually wear kerchiefs in their daily life, after all, not just on pirates Sunday. Read the rules on costumes here. £1 to enter. 1pm. Sunday, June 26th, 2011. 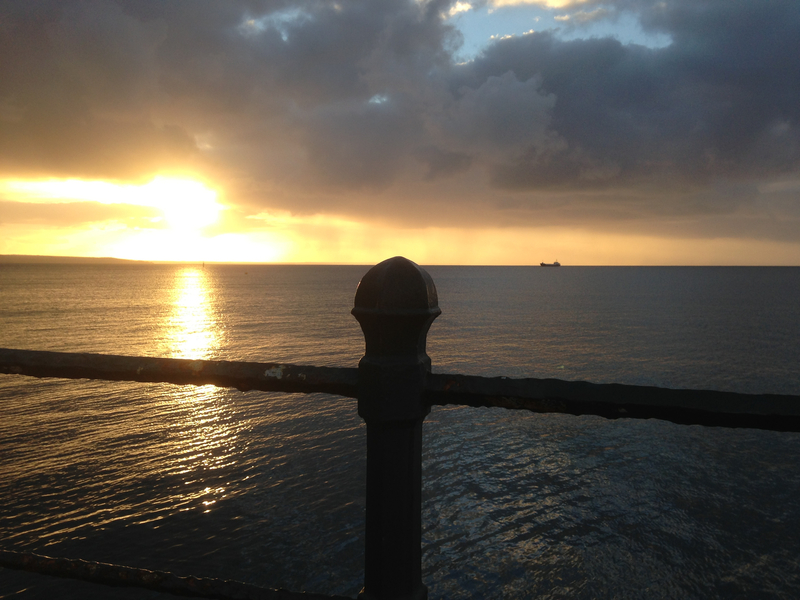 Penzance promenade. Be there or be, well, a massive spoil-sport. Bandanas are de rigeur for the event – pantaloons also welcomed with open arms. Or rather to be born again. 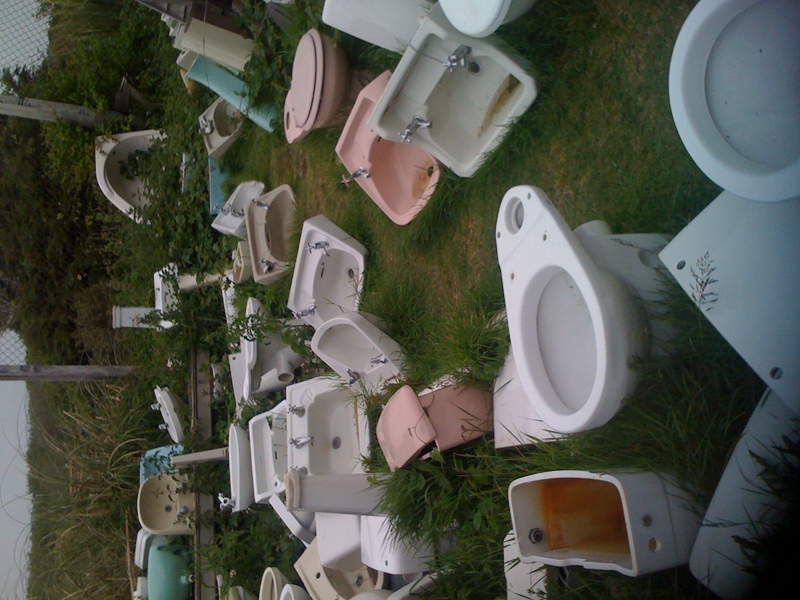 Thankfully, I have a gorgeous dusty pink bathroom suite all of my own so I had that particular area covered. Like any girl, I swoon at the sight of vintage crockery, bunting, wild flowers and cakes (in pretty much any combination), so imagine my excitement at this pop-up tea shop called Tea by the Sea, which pitched up in the old shipping container that is currently on Penzance prom as part of Cornwall Design Season. 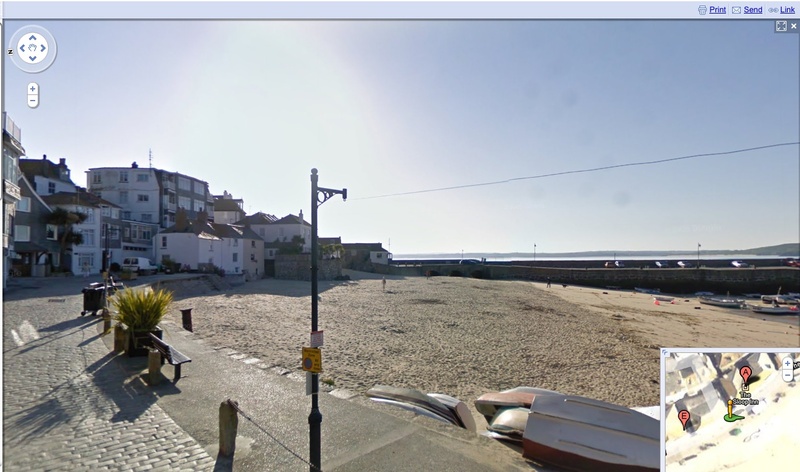 I just took an enjoyable stroll along the front in St Ives on Google Street View, which as of today documents with freaky clarity, and 360-degree views, virtually all houses and streets in the British Isles – including Cornwall. Just whack in a postcode here, and comes up with a picture your house/street/recycling box/favourite restaurant. The experience is as unnerving as it is thrilling – around every corner you can’t help but wonder if you’re going to pop up on a bad hair day or with a mouth full of pasty. Needless to say, privacy campaigners are less than amused. Faces are vaguely blurred out and car registrations aren’t visible but it’s no great barrier to recognition.